12 miles of long, straight and flat bike lane along Rt 1 between Dewey Beach and Fenwick Island. 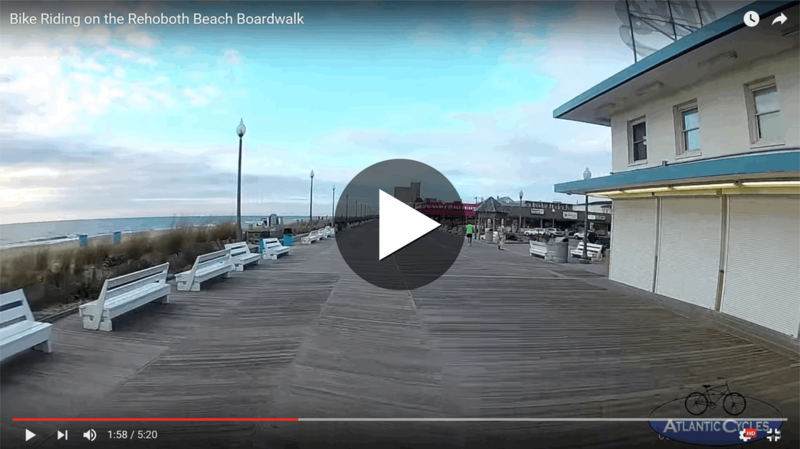 The Lewes-Rehoboth Beach bike loop traverses some of the most scenic and interesting local areas. The shortest distance for the "Loop" is about 15 miles, however this easily becomes more than 22 miles if you choose to take in many of the sites of interest such as Lewes Beach and historic Battery 519. The "Loop" uses two trails: The Junction & Breakwater Trail and the Gordon's Pond Trail as well as some local roadways and other trails within the Henlopen State Park. The Boardwalk and Lake Avenue converge at left-hand turn onto North Surf Avenue. Follow North Surf Avenue north to the first right and turn onto Ocean Avenue. Follow Ocean Avenue about three-quarters of a mile to the southern entrance to Henlopen State Park. Follow the signs to the Gordon's Pond Trail off to the left side of the Pavilion.